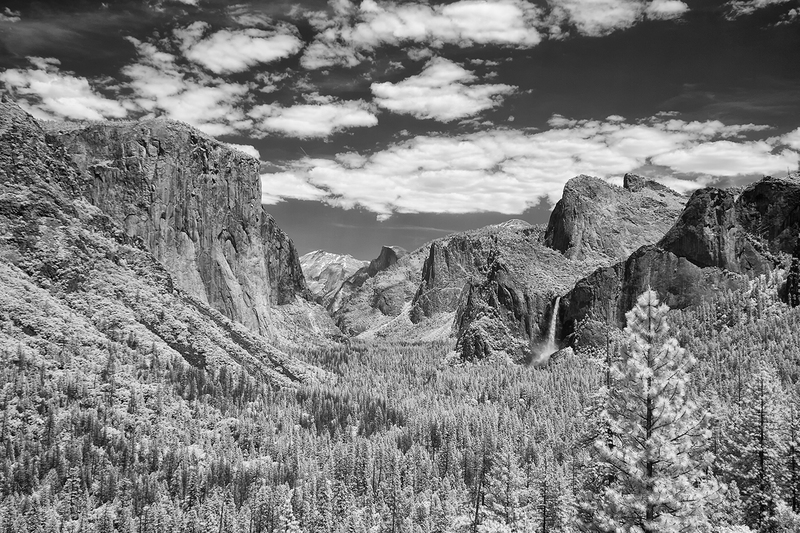 Entering Yosemite Valley from the south, on the Wawona Road, takes you through some spectacular Sierra Nevada scenery; but on passing through the tunnel at this southern entrance, you are presented with what has to be one of the most remarkable views on the planet – Tunnel View. On the left, with its sheer rockface, is El Kapitan. On the right is the beautiful Bridal Veil Falls. These two sights frame, in the background, the majestic Half Dome.